Thank you for your interest. Camping is sold out for 2018. See you at the show! 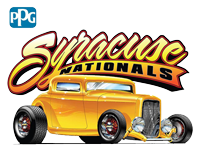 If you are a Right Coast Member, please call 1-800-753-3978 to register for camping or show cars. Camping requires a 3 night minimum. 3-day show pass required to camp. All campsite spaces are 20 feet wide by 40 feet deep. Please review terms and conditions. All persons entering the camping areas must have a three-day pass. If you do not have a show car or, if you need additional passes, you can purchase three-day passes for $45 per person at Gate #7 during your camping check-in process.